Somehow suits make men look a little bit sexier. Of course, it is the well fitted suits. There has been a lot of attention that has been given to men’s fashion over the past few years. Part of the reason is that men’s fashion generates a good amount of money. With suits being sold for up to $600 at the cheapest, you can be sure that the design company is walking away with huge profits. There is a problem that men have when they are buying suits though- the wedding band. What is the color of your wedding band? It is probably yellow or a whitish-silver color. 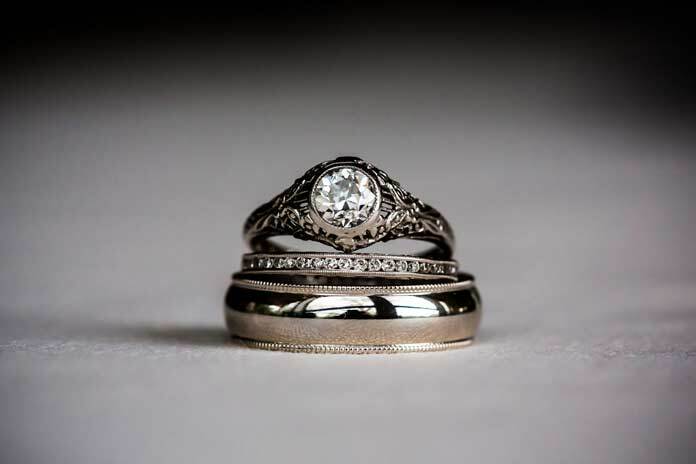 Gold and silver are the traditional metals that were used to make wedding bands. There is nothing wrong with having one of these rings. The problem is that they tend to appear totally displaced if you do not combine them with the right outfits. It is not every suit that looks good on your body. In the same way it is not every suit that will match your ring. Nowadays, there is a significant change in the types of rings that men are wearing. Normally, they would just get rid of the wedding ring and walk around bare-fingered. This does not augur well for many marriages and that is why they go for the likes of tungsten carbide. When it comes to men’s wedding bands, this is the most popular metal today. It is masculine and works for most outfits even if they are women’s. Once you have gotten the measurements right, it is time to get the material and colors that will work for your wedding band. 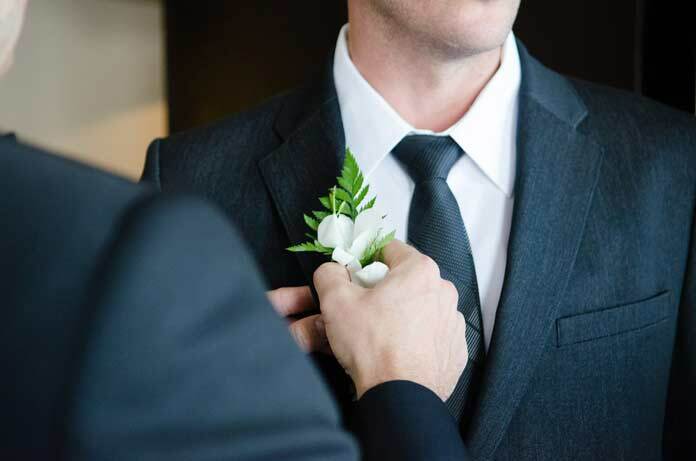 Remember, the suit you will change every single day, the wedding band though is stuck on your finger till death or greener pastures do you part. If you have a golden wedding band (the yellow ones), then there are some colors that you would want to steer clear of. These include the likes of white, black and light blue. Black might work but only if you combine it with a cool tie but the others might make your ring look completely misplaced. For the silver wedding bands, you will want to avoid colors like red, yellow, green and purple. Yes, men are wearing some really flashy colors nowadays. Avoid these colors in their bright tones. It will be great for your body and your ring as well. The best time to wear these flashy colors is when you combine them with the black tungsten carbide wedding bands. Tungsten carbide rings can be either silver or black. The choice that you make is totally dependent on your tastes and preferences. Such a wedding band can be combined with just about any suit colors that look professional from black to white and every other shade in between. Navy blue suits are also fantastic to work with. David Wicks is one of those men who just love fashion but need a stylist to dress them. With the help of him stylist he drew this article to guide men on men’s wedding bands and their wedding bands. He likes him men looking sharp.